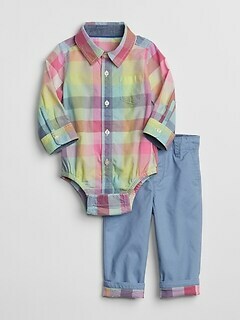 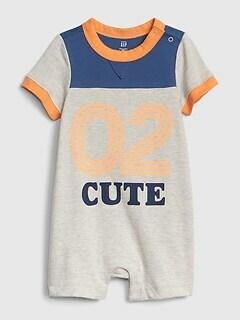 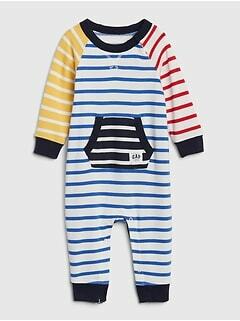 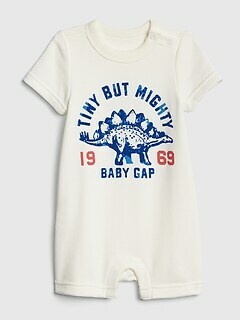 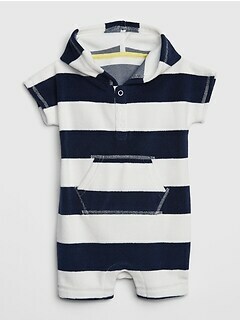 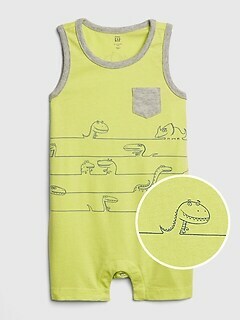 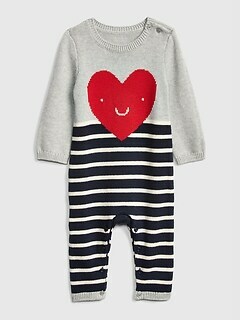 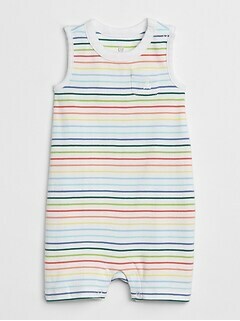 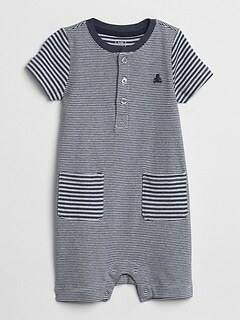 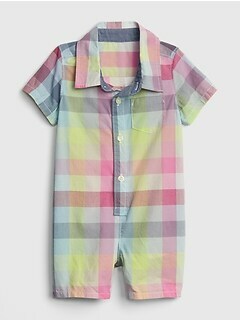 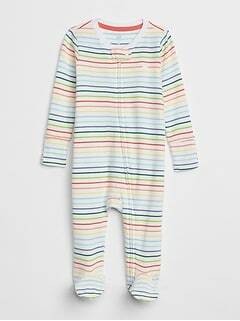 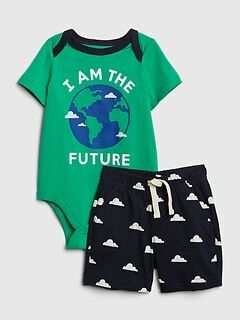 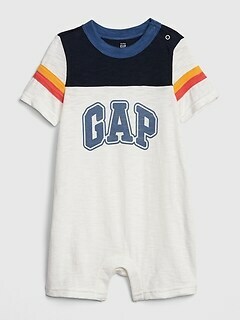 Your little man will love playing with the family in baby boy rompers from Gap. 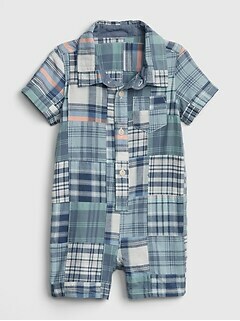 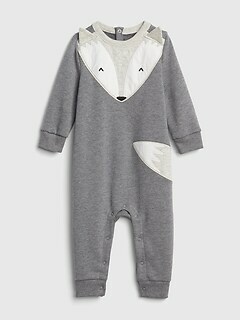 Browse the selection of baby boy rompers from Gap and find the perfect pair for your little guy. 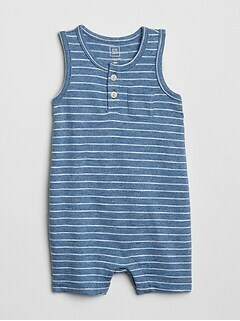 Great for playtime indoors or out, running errands with mom or dad, visiting relatives and friends and enjoying a bottle or meal, these versatile infant rompers fit great and feel incredible. 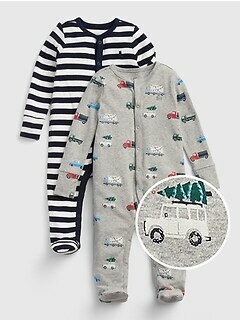 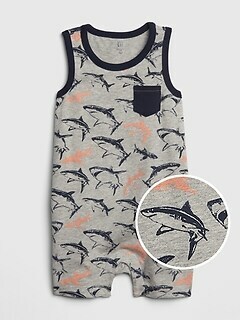 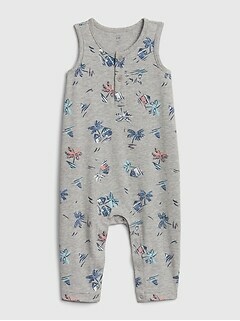 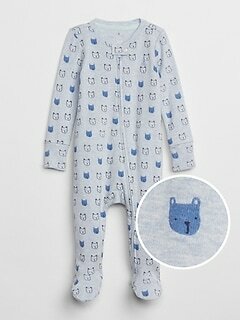 Baby boy overalls & one pieces in this collection are available in a variety of wonderful designs. 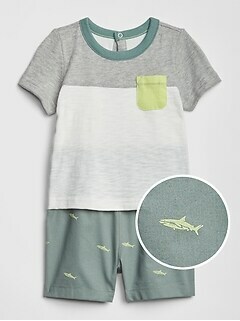 Choose short sleeve or long sleeve options in solid color, pattern or graphic styles. 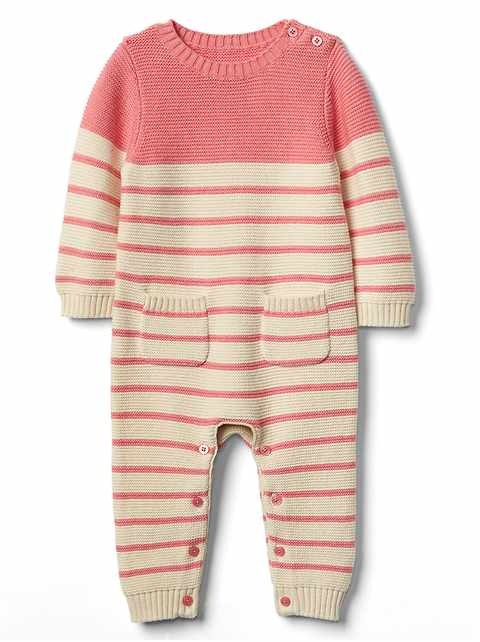 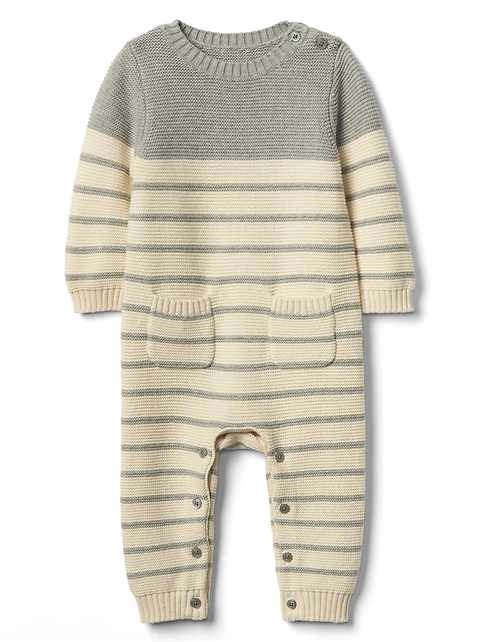 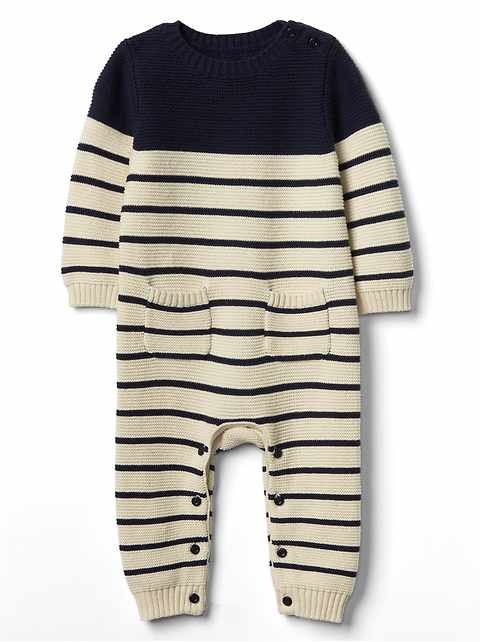 Find the right baby boy one piece for his constantly evolving personality. 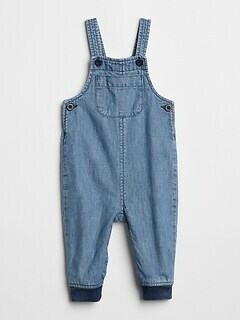 One day, he'll love looking back at old pictures from this precious time in his life. 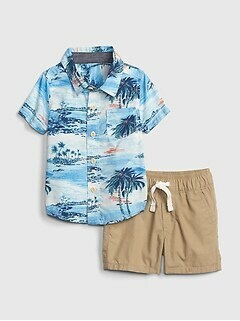 Make sure he's got a fantastic outfit. 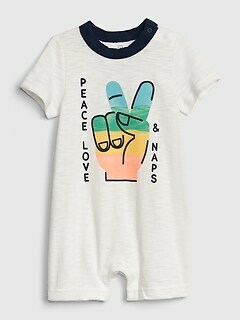 Kids can play rough. 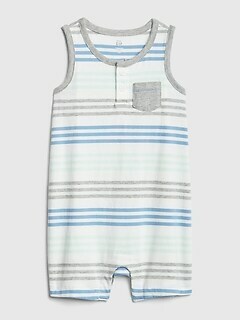 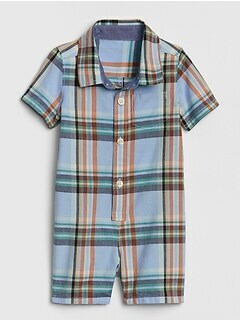 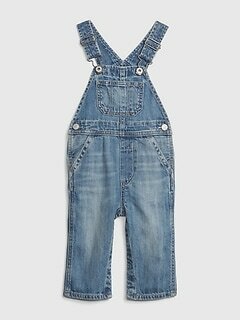 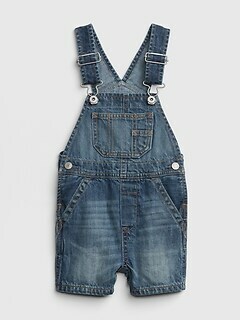 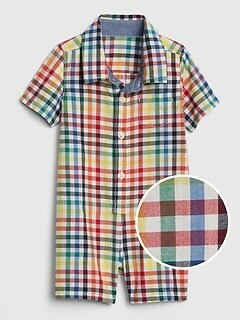 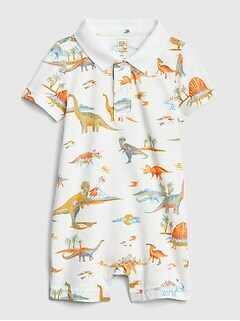 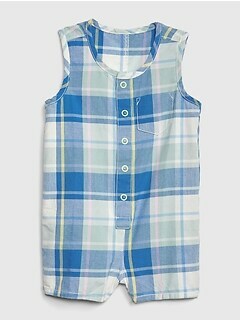 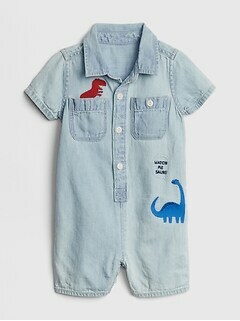 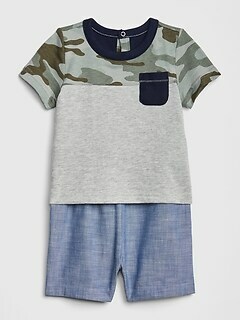 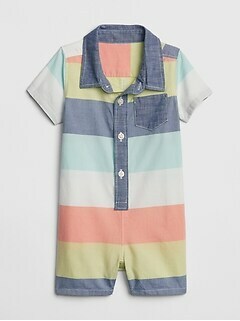 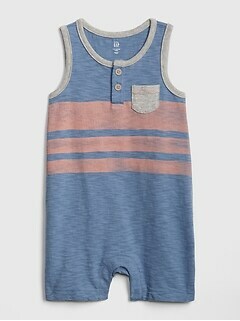 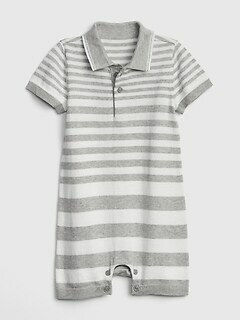 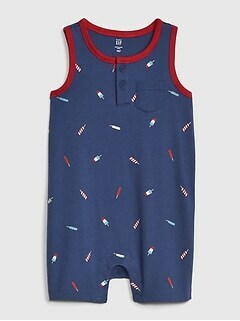 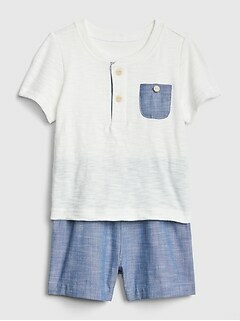 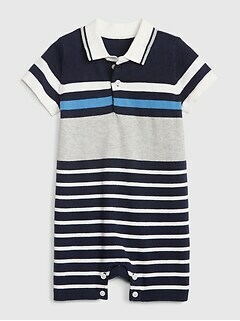 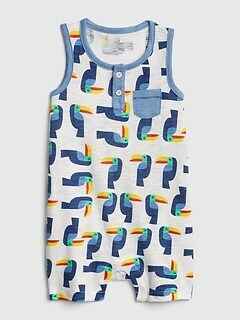 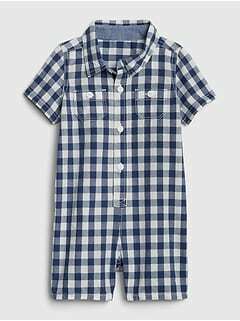 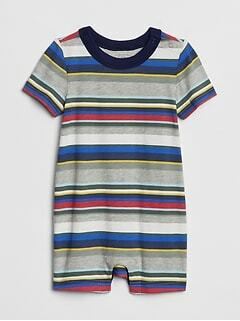 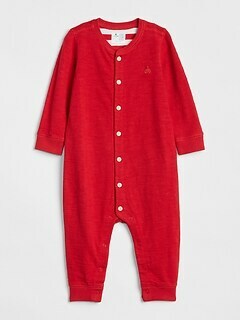 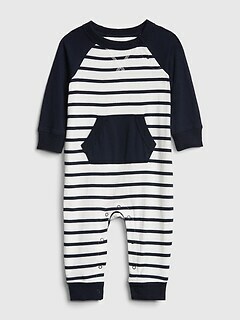 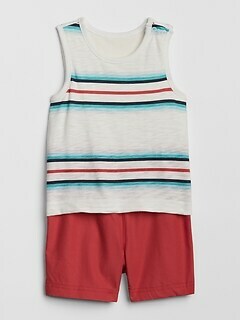 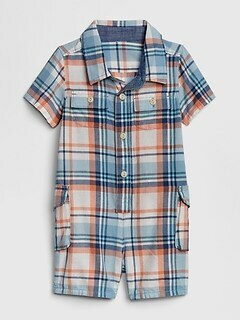 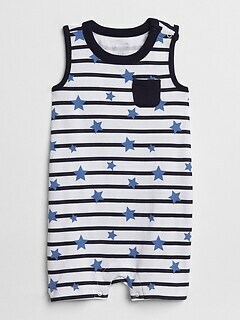 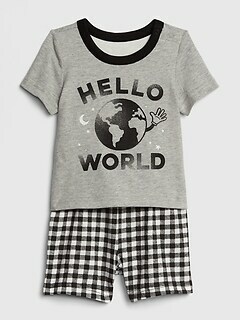 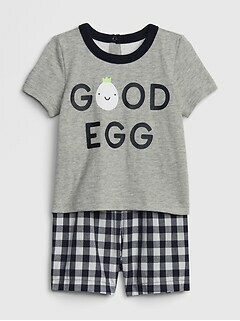 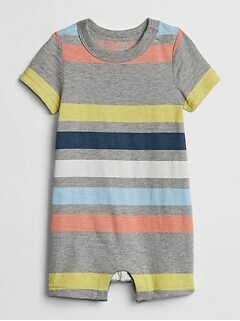 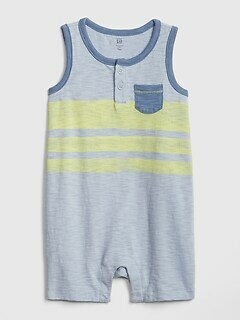 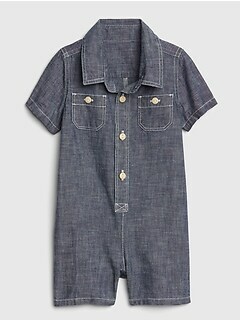 Boys rompers and overalls are made to the same high standards you've come to expect from Gap. 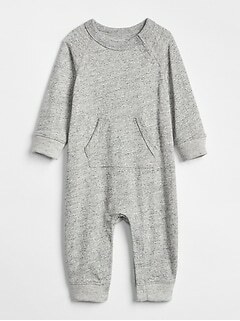 Expertly manufactured from high quality materials, this premium infant clothing will make great hand-me-downs to the next child in the family. 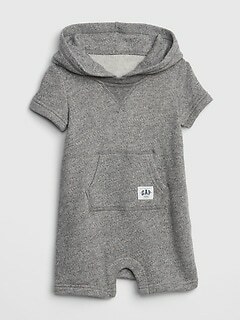 Made from soft, durable, machine washable fabric, items from this collection are easy to clean and will still look amazing after many washes. 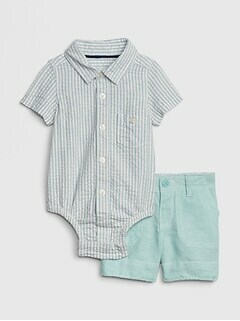 Strong snaps will hold your baby boy's romper together, even during active playtime. 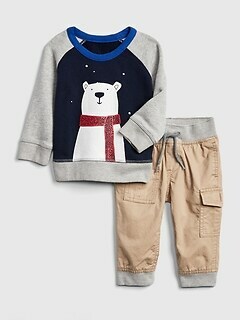 Kids are more comfortable in quality clothing. 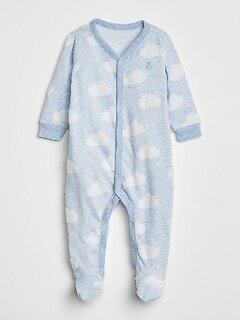 This keeps them happy, which hopefully makes your day a lot easier. 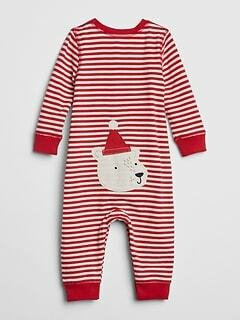 Have expecting parents in your family or in your circle of friends? 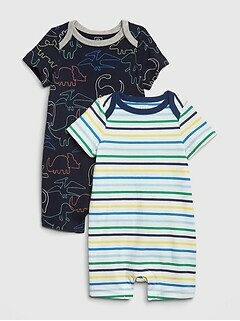 These selections make for a wonderful shower gift. 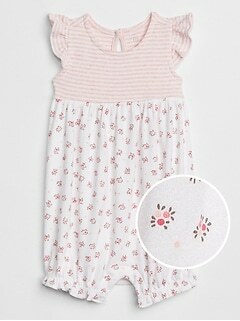 They're also perfect for a 1st birthday present, or when visiting, since growing children always need more clothing. 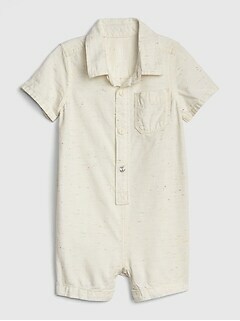 Children can make a huge mess seemingly out of thin air, and parents will appreciate having a clean romper on hand. 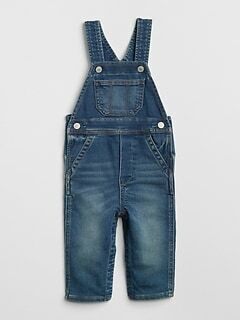 Purchase one to fit them today or buy a size up and give them room to grow. 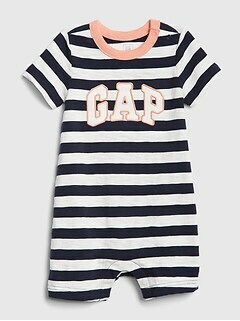 With infants, a growth spurt is alway around the corner. 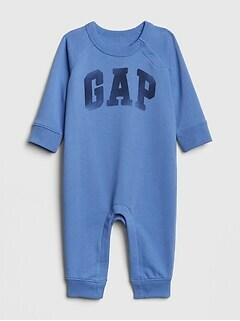 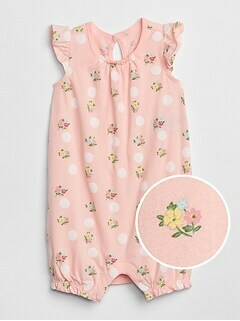 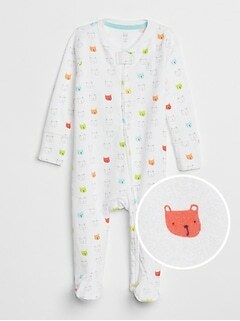 Help a young family get their start with the gift of cute baby clothes from babyGap. 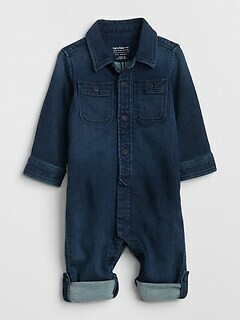 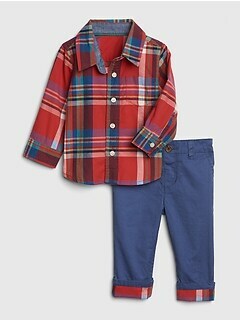 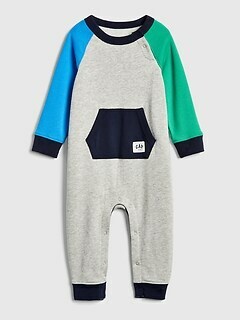 Put a smile on his face with a fun set of baby boy coveralls from Gap.